There’s some things in life you can skimp on; like Valentine’s Day cards, maps, hair cuts, your mother-in-laws xmas presents, and then there’s leather jackets. The good ones should last forever, like these Barbour Vintage Leather Jackets – you can almost smell the adventure. They come ‘new’ with a broken-in vintage look, so you don’t have to look like ‘that guy’ who just bought a leather jacket. Plus there’s loads of functions you’d expect from a Barbour jacket; like button storm flap, adjustable waist belt and loads of pockets for much needed storage. With a genuine leather outer they also have a lining made with wool tartan and a polyamide quilted drip strip (sounds impressive). Still reading? 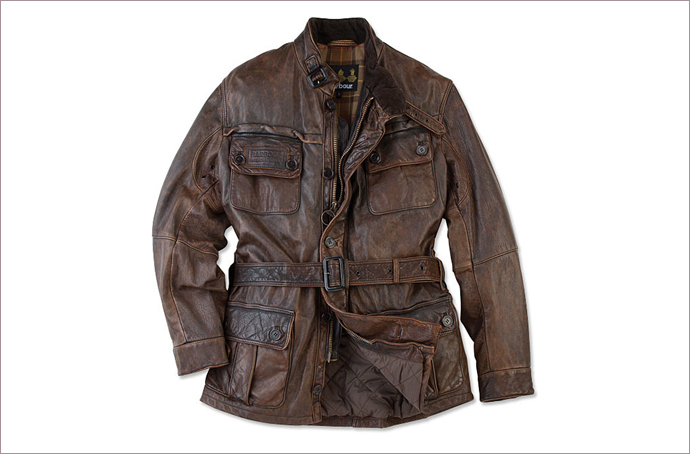 Then you can buy one at the Barbour Store – your son will thank you for it… one day.